Fed up with your day job and ready to let your pet support you? 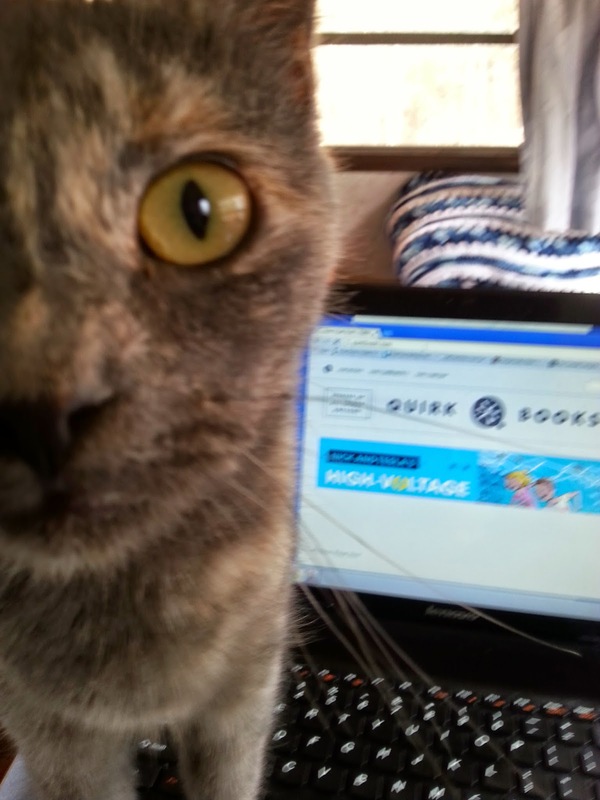 Check out the latest from Quirk Books, HOW TO MAKE YOUR CAT AN INTERNET CELEBRITY by Patricia Carlin. This book is funny, entertaining and frighteningly subversive. Occasionally while reading, I’d say to myself, “Yeah, I could do that.” It’s a tip of the hat to Carlin, who makes this not only funny, but close enough to a Weird Success for Dummies book to sound totally plausible. The Internet has conditioned us to take in information with cat pictures, and Carlin has taken advantage of that with lots of adorable kitty pictures (by apparent cat whisperer Dustin Fenstermacher) and fake profiles liberally sprinkled throughout the book. It covers everything from getting the best performance from your cat to what to do when your feline becomes a diva and wants to fire you. By the end, I was mentally ticking off my cat’s assets to see if she was Internet material. Uno the Inappropriate Cat already has a title (one of the recommended branding tips in the book) although filming her constantly is more effort than I can muster. But when Carlin suggested where to buy kitty props and costumes, I mumbled “That’s brilliant!” I suspect I’m smack in the middle of her target humor demographic or dangerously close to letting my cat host a pawdcast. 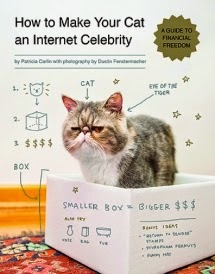 HOW TO MAKE YOUR CAT AN INTERNET CELEBRITY is a fun read, especially if you love cats, the Internet and don't have a 401K for your retirement. If this whole writing thing doesn’t pan out, I’ll probably end up buying a good camera and some tiny funny hats. Uno, show me your best side! Um, Uno, that's a little close. Can you back up...wait...oh, forget it.